This design is the second in a series called Parade of Pattern which features projects that explore common stitches in an uncommon way. 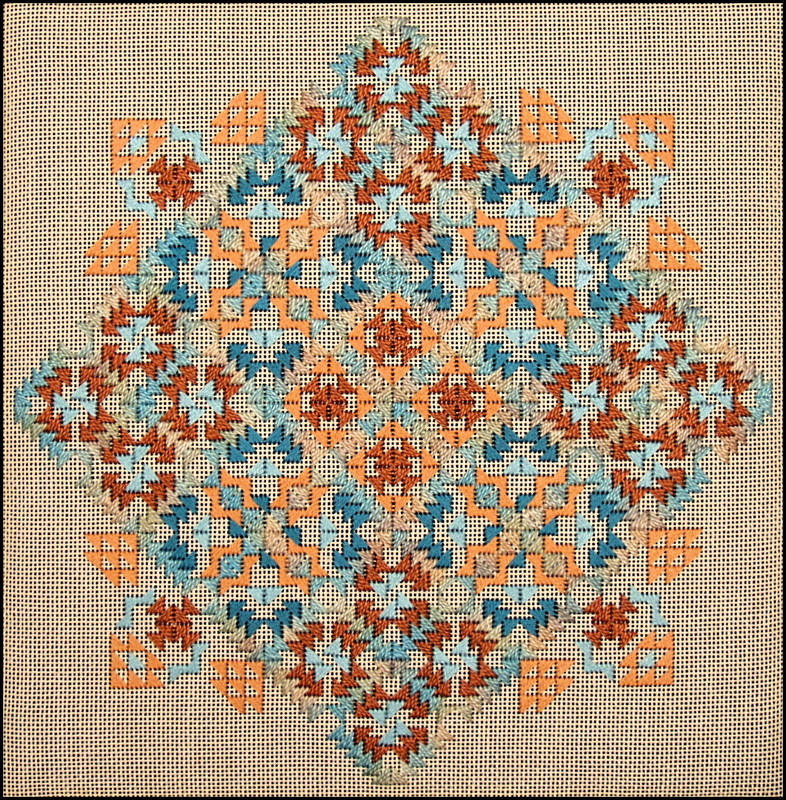 In this geometric arrangement, a single stitch, the Milanese stitch, is used to create a complete nine-patch design. By rotating the stitch and combining units into interesting cluster motifs, lacy patterns are formed that resemble quilt patterns based on triangles and squares. Instead of the lacy one-color effect produced in Milanese Mutations (Pattern ASK #14), the model for this pattern is worked in soft southwestern colors and resembles an Indian design. However, another combination of colors and value contrasts would create a totally different interpretation.